Tire condition is critical for the safety of riders and drivers, so getting a warning right from your vehicle that your tires have an issue could be a life saver. 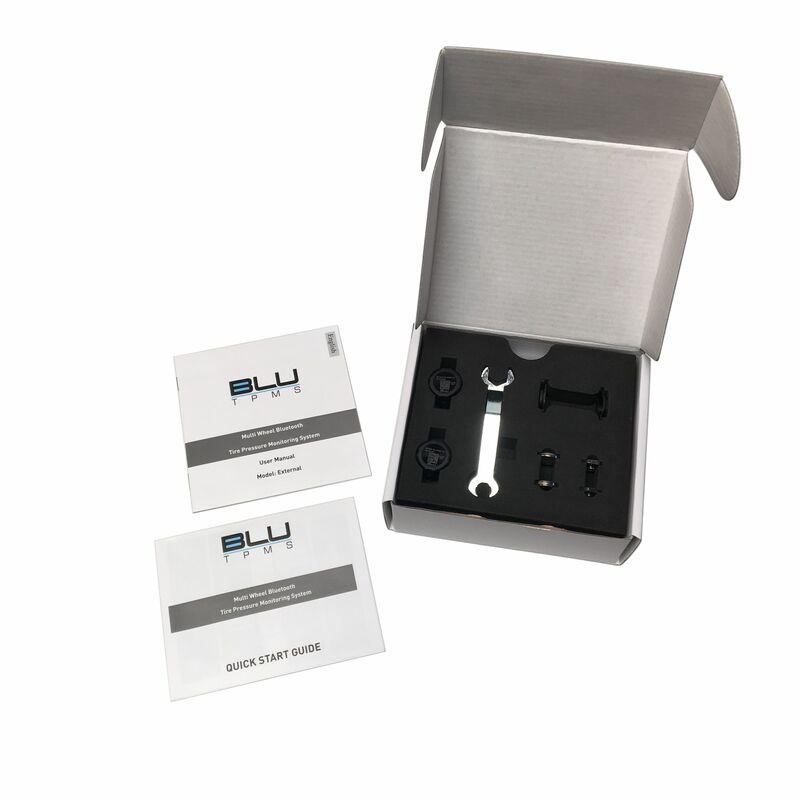 The BLU TPMS will monitor both the Pressure and Temperature of vehicle tires with external (D.I.Y.) IP Addressable O.E.M. Grade Low Energy Blue Tooth Sensors. All of this information is then reported in the free App for IOS or Android devices, no dedicated display required.